Following up on a reference in Gieryn 1982, I’ve been reading over Robert K. Merton’s long essay, “The Sociology of Science: An Episodic Memoir,” in The Sociology of Science in Europe (1977), pp. 3-141. I’ll post more on it soon in the context of other recent posts on this blog. For the moment, I’ll just say that the essay is thin on “norms”, “counter-norms”, “ambivalence”, etc. 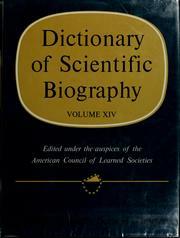 It is mainly about the intellectual influences on the sociology of science that developed in the 1960s and ’70s. It is also about the methods, ambitions, and projects of what Merton still regarded as a nascent discipline. It turns out these projects are well worth a tangential post, or two. In this post, I want to focus on Merton’s account of his involvement with the planning of the Dictionary of Scientific Biography (DSB), and the computerized “data bank” that didn’t accompany it. The sociology of scientific knowledge (SSK) critique of the Mertonian program to define a “normative structure of science” centered around the complaint that, by focusing on the social conditions that fostered scientific rationality, nothing was said about the sociology of knowledge-producing processes in everyday scientific work. It seems to me that SSK strategies like “methodological relativism”, and Steven Shapin’s embrace of “middle-range” historico-sociological theories, might ultimately have resulted in additions to, and a reconciliation with, the original Mertonian framework. However, at the same time, another critique questioned the basic validity of that framework. This critique shared the SSK critique’s interest in describing actual scientific work, but, like Mertonian sociology, it focused on scientists’ and others’ sense of the essence of scientific culture without directly addressing knowledge-production processes. This critique held that, because “functionalist” ideal-type systems of scientific behavior could not actually be found in their pure form, such systems did not meaningfully exist. Legitimate sociology had to be obtained inductively from the empirical record, as studied by historians and ethnologists. A key work here is: Michael Mulkay, “Norms and Ideology in Science,” Social Science Information 15 (1976): 637-656. This post will mainly focus on Steven Shapin’s “Understanding the Merton Thesis” Isis 79 (1988): 594-605, which may be my favorite work by him. Robert K. Merton’s “functionalist” sociology viewed “science” as a kind of Weberian ideal type — a form of thought that is identifiable by its peculiar, philosophically-defined characteristics. Merton’s sociology of science held that this thought could also be identified with social behaviors, characterized by a set of “norms”, which made the thought possible. 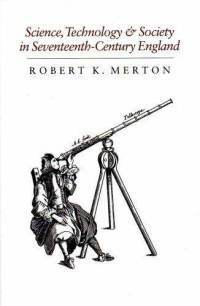 The Merton Thesis (which slightly predates Merton’s enumeration of science’s norms) holds that the rise of science in early-modern England could be linked to the social behaviors valued by the Puritanism of that milieu. This was the subject of Merton’s PhD thesis and his 1938 book Science, Technology and Society in Seventeenth-Century England.